It looks like Ben Rothwell’s return is set. MMA.bg is reporting that Rothwell will go one-on-one with Blagoy Ivanov. While the exact date and location are unknown, the report notes that the bout is set for March. There are five Ultimate Fighting Championship (UFC) events scheduled for March. Rothwell hasn’t competed since April 2016. He suffered a knee injury while preparing for a bout with Fabricio Werdum. The bout was rescheduled, but never transpired as “Big Ben” failed a drug test under the U.S. Anti-Doping Agency (USADA). Rothwell accepted a two-year sanction retroactive to Feb. 2017, so he’ll be eligible to compete by March. As for Ivanov, he failed to earn a win in his UFC debut. The former World Series of Fighting heavyweight champion was bested by the former UFC heavyweight title holder. Ivanov simply had no answer for the standup of Junior dos Santos. Ivanov was 16-1, 1 NC going into his bout against dos Santos. Most would agree that dos Santos was Ivanov’s toughest competition. Rothwell will certainly have an experience edge in terms of UFC bouts. Rothwell has had 10 fights under the UFC banner. He’s also had more professional mixed martial arts bouts at 46 as opposed to Ivanov’s 19. 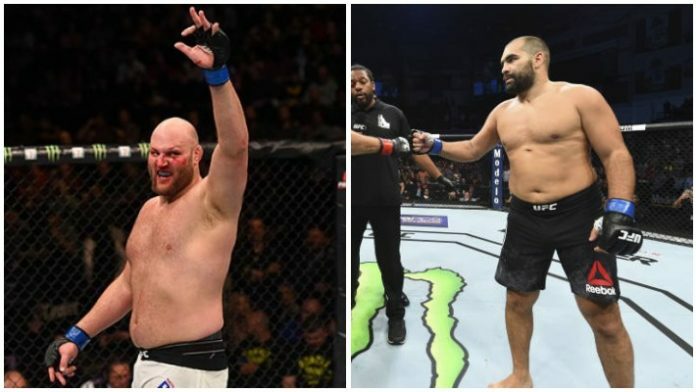 Do you like the potential match-up between Ben Rothwell and Blagoy Ivanov?